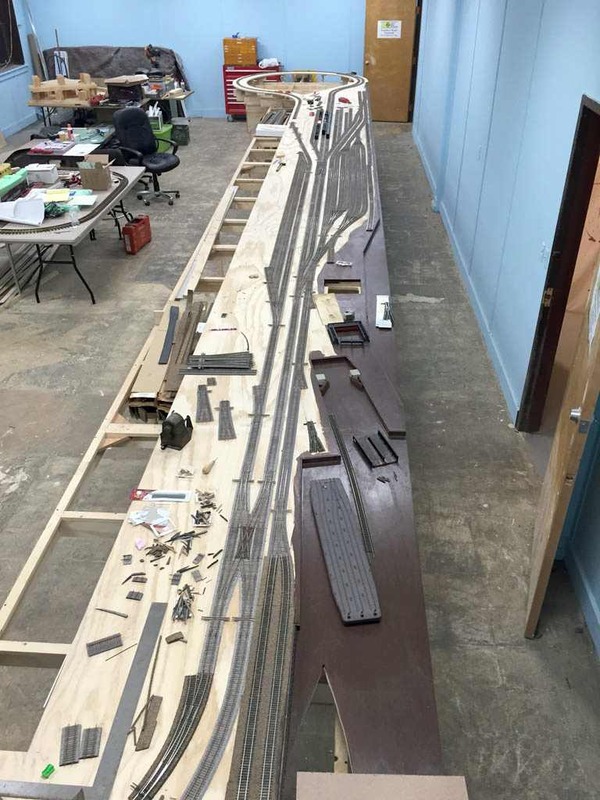 Here's a unique view of the entire Jersey City section of the layout. I put the camera up against the ceiling at the end of the room. Its funny how small 40 feet of benchwork looks like from this angle. The trains you can barely see at the other end of the layout are the 5 car passenger set from some of the other pictures. There's also a 2-8-8-2, 2-6-6-2, 2-8-8-4 and ES-44ac hidden down there.